I remember buying a Batman hat there when I was a kid! 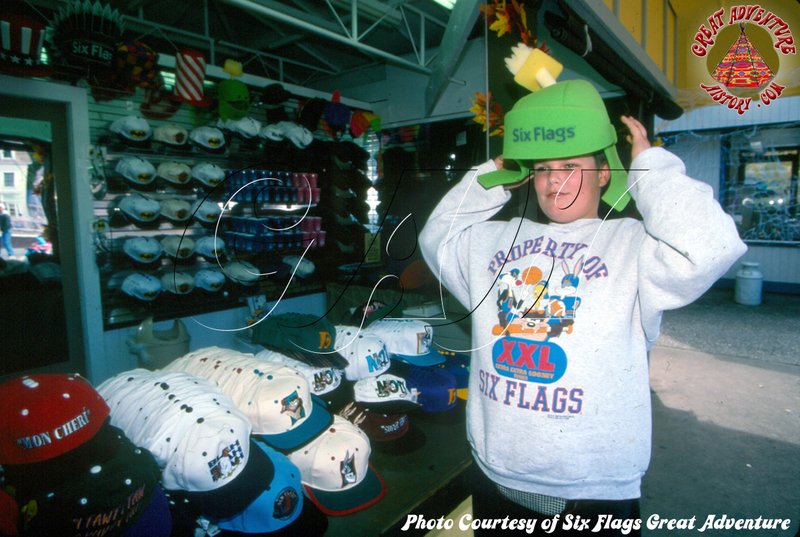 I really miss the hat shops the park used to have. 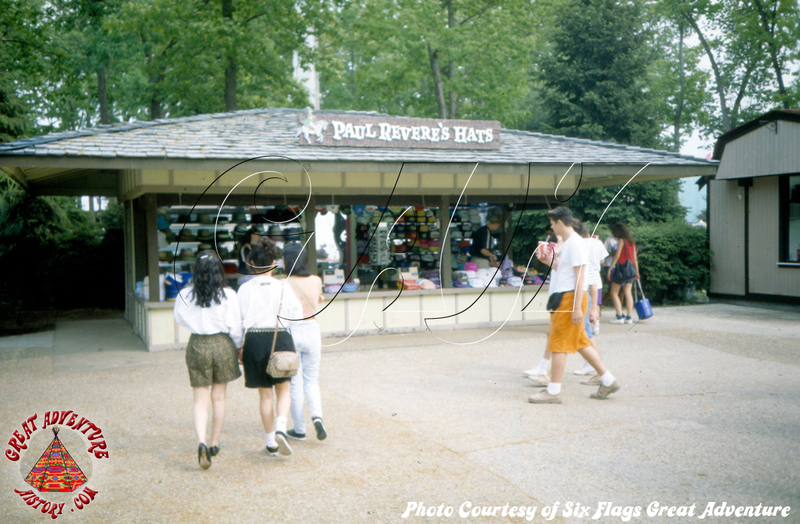 Between Paul Revere's Hats and the Mad Hatter it used to be there were so many choices of souvenir hats available in the park. It's just not the same with just a few styles of baseball hats and trucker hats in the shops. They seem to have gone the way of the dinosaur in theme parks everywhere. Even in the Disney parks hat shops seem to have just become a section of the larger stores. Paul Revere was one of the first stores I worked in. 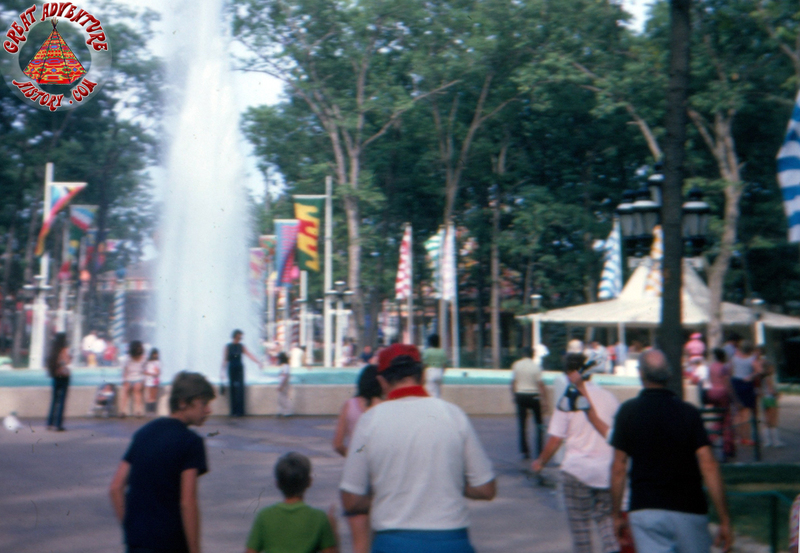 It was nice being that close to the fountain because there was always foot traffic so you were never bored or lonely. In my time there were two hat stands you could be assigned to this one or Bavarian. Paul Revere was the "good" one even though it was brutally hot, had a broken phone and was unnaturally windy. By unnaturally I mean no matter what direction the breeze was blowing in the rest of the park, in this stand the wind would come from behind you and blow the hats off the counter onto the path in front of the stand. Despite the fact that it was almost always windy in that stand it was never a refreshing breeze and never helped you cool off. The phone at Paul Revere could dial out and would ring on the other end but you couldn't talk with it. Our 'base' for that area was above Franklin Films right across the fountain. If you answered the phone upstairs in Franklin and didn't hear anyone on the other end you'd look out the window and the person from Paul Revere would give you a hand signal to tell you what they needed. At one point a few years before I started at the park one of the kids crashed the merch truck into the stand. I don't remember how much damage was done to the stand but there was repair work that had to be done. This wasn't really surprising or all that uncommon, you should have seen the way we drove those trucks around the park. I'm surprised there weren't more accidents. Moving the hats indoors pretty much killed hat sales. When they were out in the open people were constantly stopping by, trying on the hats and posing for pictures with friends. Even the ones that didn't buy were good for business because there was always action around the stand so it attracted others. Hat sales plummeted when they were moved indoors. First off, welcome to the site Castor, and thanks for the great stories! It's funny how many things employees have run into with cars and trucks inside the park over the years. I have seen photos of several mini crashes and you have to wonder how it happened... its not like a tree jumps in front of the vehicle! 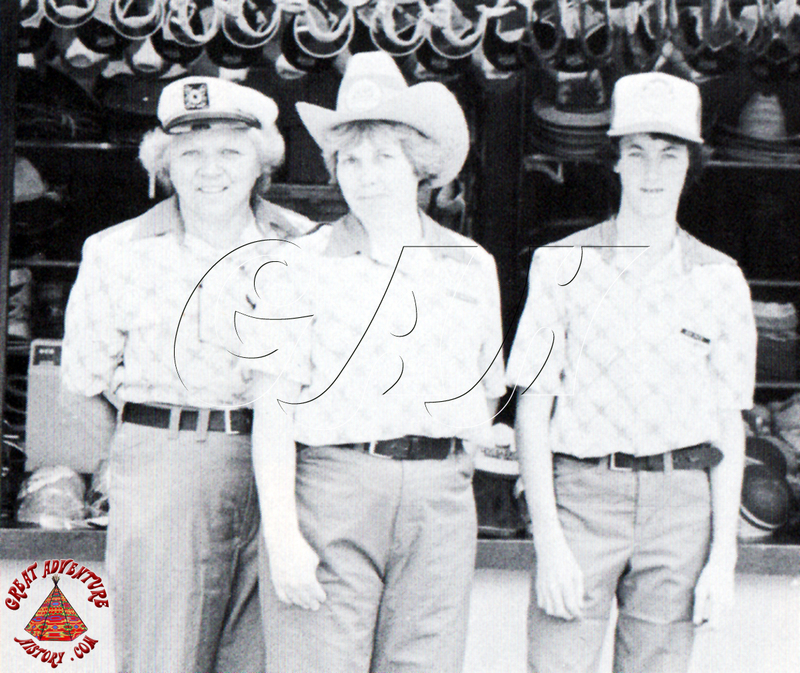 I don't think we ever had a photo of this... the Fountain Hats stand from the summer of 1974!